One of our favorite keyboards is available at an outstanding price today. Best Buy is selling the Corsair K70 RGB MK.2 Low Profile Rapidfire mechanical keyboard for $90Remove non-product link. This keyboard doesn’t go on sale all that often, and most of the time it’s priced at its $170 recommended price. If you like Cherry MX Speed switches or are at least willing to give them a try, this is a sale you don’t want to miss. 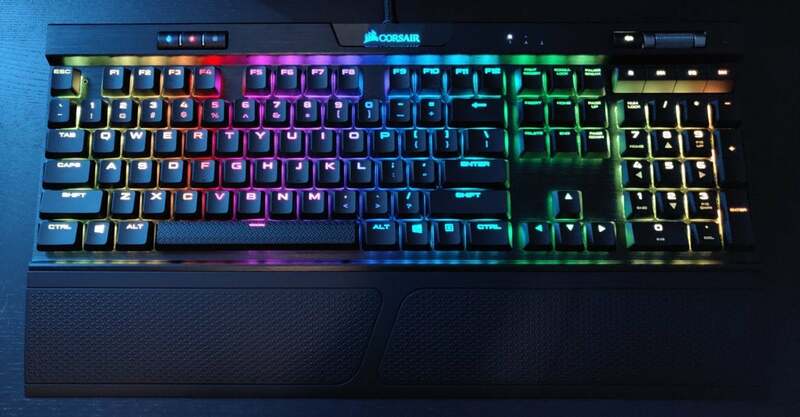 The Corsair K70 MK.2 features per-key backlighting, USB passthrough, anti-ghosting with full key rollover for more accurate keystrokes, and an aluminum frame. When we looked at this keyboard in December (link above), we really liked how well it worked. The point of a “low profile” keyboard is to have a laptop-like experience of slimmer, flatter keys, while maintaining the typing quality of a full desktop mechanical keyboard. We found that the K70 MK.2 pulled off this feat surprisingly well with specially designed low profile Cherry MX Speed switches. If you or someone you know is addicted to their laptop keyboard, even though they work at a desk all day, this keyboard might be the one to help them finally see the light. This story, "Our favorite low profile mechanical keyboard, Corsair's K70 MK.2, is nearly half off today" was originally published by PCWorld.